« Frisbie Pie Company in Bridgeport, Connecticut Is Back! Where did you go to college? Chances are Steven Melillo has a vintage pennant for your school. He is passionate about pennants and has named his company Americana Memories because he says “a lot of people consider college to be the best time of their lives. 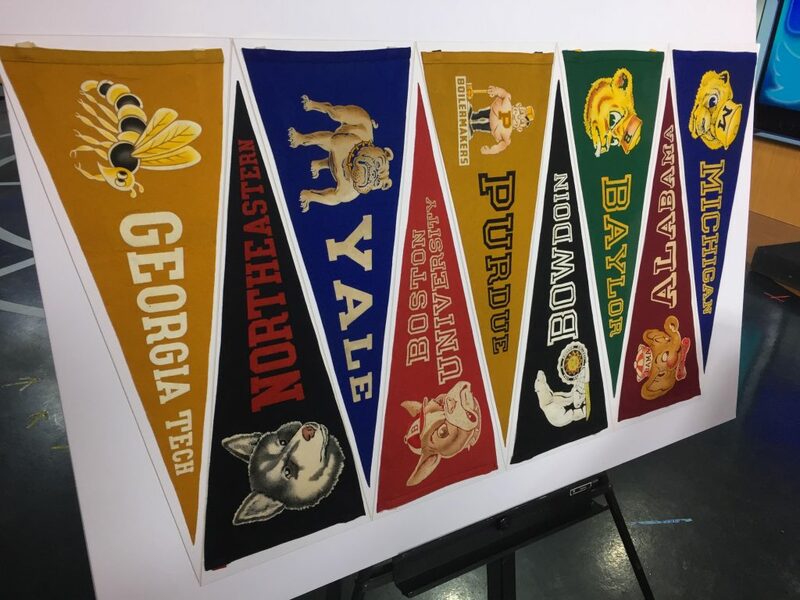 When people see a pennant from where they were in school it is an emotional experience.” He has large ones and small ones, each has a story…he knows everything there is to know about when they were made, the materials, and the stories behind them. He brought in part of his enormous collection which numbers in the thousands. He admits “pennants” have taken over his life, but he loves it.